Sidestepping the well known Vladislav Delay and Luomo monikers, Sasu Ripatti uses the Uusitalo moniker to frame his abstract house tracks - rolling basslines, reverberating beats and warm, dub-flecked pads and, this time, he's taken his sound back to basics. The laptop has been thrown away (so to speak) and for 'Karhunainen', which is named after a well known stage play written by his father, Ripatti has used entirely analogue equipement and unlike many others who claim this route, he has forgone even digital post-processing. This strategy has given the album a fuzzy charm missing from so much modern electronic music giving it a heady mid-70s Krautrock undertone bringing to mind Cluster or Harmonia for instance. The tight decomposing sounds are heard 'clean' if you will, and while they might be missing the clinical high-end we have now been trained to expect, a few minutes in Ripatti's world and you'll be converted to his way of thinking. 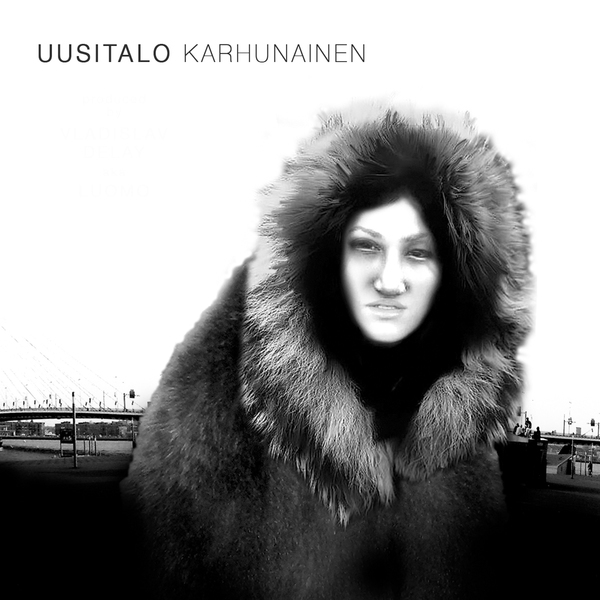 The album begins oddly enough with 'Vesi Virtaa Veri' a beatless track, easing us into the cooling Finnish landscape with washes of analogue synthesis before we're introduced to the elastic bass and pounding kick of 'Korpikansa'. This track sets the precedent for much of the rest of the album as Ripatti makes variations on the theme, creating something from almost nothing and showing that there's life in his patented sound yet. Although he might not have taken any giant developmental steps since his early work on the influential Mille Plateaux imprint, you get the feeling that he is slowly and surely honing his craft and I have to say that a Sasu Ripatti record always sounds like a Sasu Ripatti record. With an identity far stronger than so many others in not only techno and house but also in electronic music in general this has no doubt helped his longevity and certainly keeps me on my toes whenever a new release comes together. A twisted and hugely enjoyable excursion into the annals of machine funk - I'm sure you know what to do.